We understands that it may be difficult to cover each and every requirement of all clients in one single report and therefore Axiom MRC providesits Custom Market Research Services, which address such requirements. It is therefore important to completely understand the requirements and accordingly formulate a research methodology that will address and provide client with actionable data. With a team of expert research analyst who have successfully delivered global market research projects to fortune 500 clients across the globe, Axiom MRC is capable of handling your custom market research requirements. 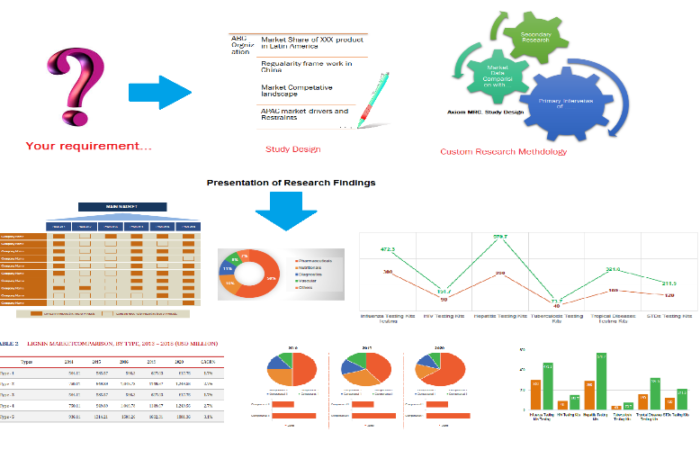 We follow a very simple, yet very effective approach to deliver custom market research services.